On the official Aksys Games Twitter page, the company revealed the official release window of the upcoming BlazBlue: Central Fiction. The game is set for release on PS4 and PS3 in North America in early November of this year. The game is available for pre-order from the Aksys Games online store, including the Limited Edition which includes a 100-page hardcover art book, the 10-track BlazBlue Song Interlude III Soundtrack, and a mini Noel Vermillion Nendoroid figure. The online store also has a bundle including the Limited Edition and a special BlazBlue-themed HORI Fighting Commander controller. The regular version of the game is available as well. The regular and base Limited Edition are available on both PS4 and PS3, while the HORI bundle is for PS4 only. The controller is a standard Fighting Commander, usable for any game PS4, PS3 or PC, if you feel it’s appropriate to be playing something like Street Fighter V with a BlazBlue-themed controller. 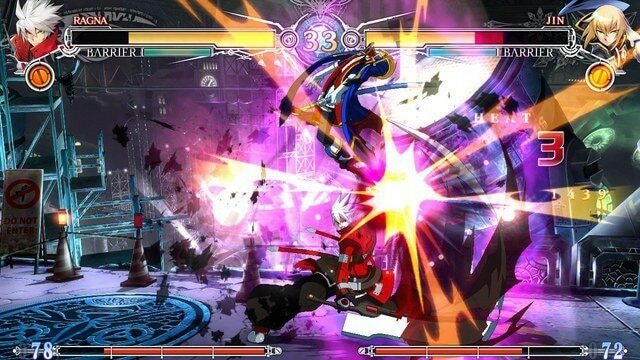 The regular edition of BlazBlue: Central Fiction is available for $59.99 USD on PS4 or $49.99 on PS3. The Limited Edition goes for $89.99 on PS4 or $79.99 on PS3, while the Fighting Commander bundle can be had for $129.99.